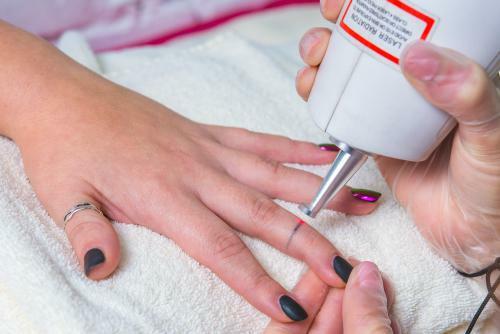 EVER WONDER HOW LASER TATTOO REMOVAL REALLY WORKS? Shore Vascular & Vein Center Blog EVER WONDER HOW LASER TATTOO REMOVAL REALLY WORKS? Once the tattoo ink has been broken up, it then gets carried away like any other small foreign substance that your body encounters. In essence, your blood stream carries it away at an expedited rate compared to the natural process of a tattoo fading over time. If you have specific questions about the enlighten™ laser system or want to make an appointment for laser tattoo removal in Atlantic County, Cape May County, Ocean County, Camden County, Gloucester County, or Cumberland County, call Shore Vascular & Vein Center at (609) 927-8346 or visit our Somers Point office.